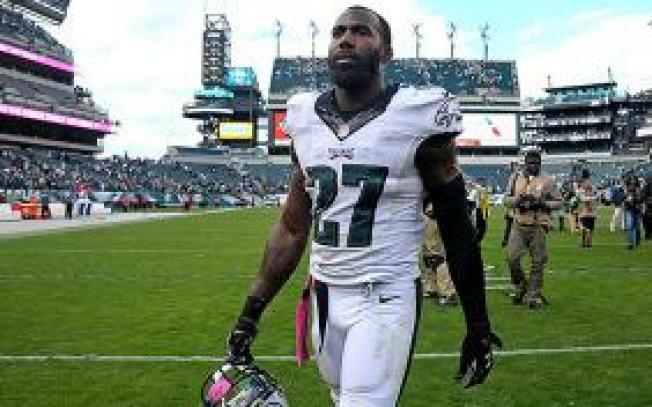 Malcolm Jenkins plans to stop raising his fist during the national anthem starting this week, the Eagles' safety told reporters on Thursday. Jenkins, 29, has raised his fist during the anthem dating back to last season to protest racism and social injustice in the United States. Jenkins said he's encouraged by the NFL's recent steps to thwart social injustice. The league is reportedly close to pledging nearly $100 million to causes important to the coalition of players that Jenkins has been leading. Jenkins also cited the "resources" and "platform" the NFL has proposed to build when explaining his decision. Two players - 49ers safety Eric Reid and Dolphins safety Michael Thomas - withdrew from the players' coalition on Wednesday, displeased with the direction leaders Jenkins and Anquan Boldin had taken it. Reid said Jenkins texted him to ask if they'd be comfortable ending demonstrations if the NFL donated money. Reid said that was "the last straw." While Jenkins has done plenty off the field for causes important to him, the raising of his right fist during the national anthem is what has gained the most publicity. Jenkins viewed it as a way to use his platform to start a conversation, and in that regard, it worked. Before this season, Jenkins had to think about whether or not he wanted to continue his demonstration. He was worried that the demonstration would shift the focus to anthem protests instead of the actual issues. That might have happened as well. "A demonstration is one part of the grand scheme of things," Jenkins said in August.